Dare we say it…. layer picking and pallet flow are simply made for one another. Mallard’s layer pick pallet separator holds the reserve pallets back several inches behind the front pallet position. This relieves back pressure from the combined weight of the reserve pallets while creating ample space for the pick attachment to access the front carton layers. 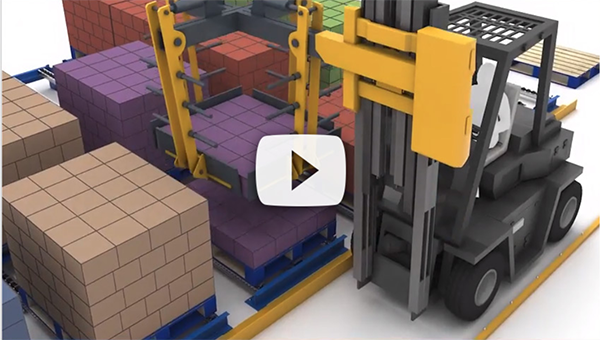 Once all carton layers are selected and the forklift operator removes the empty pallet, the pallet separator automatically releases the next pallet to replenish the pick face. 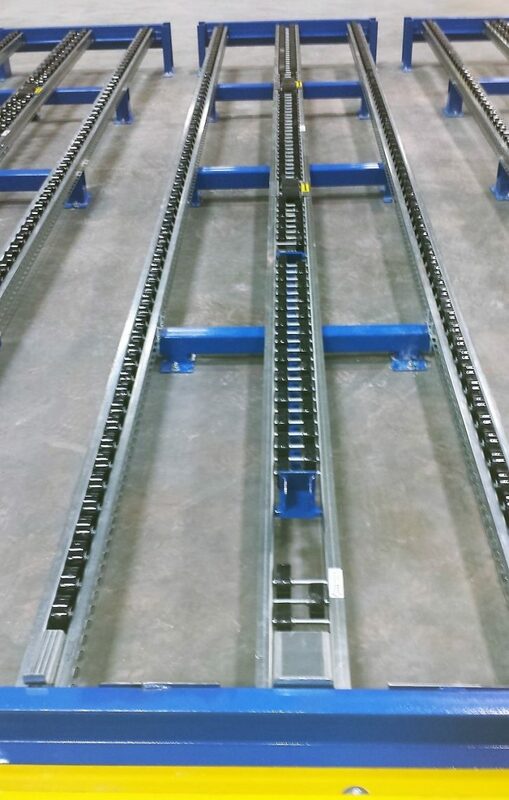 The layer pick separator is an exclusive Mallard engineered application that is mounted in the pallet flow rack center lane and can be used with all Mallard wheeled tracks. Pallet flow racking offers a better alternative for layer picking than stationary floor stacked pallets or selective rack. Besides the automatic pick face replenishment, pallet flow allows for a safer, less congested picking area because the fork trucks load the pallet flow from a separate aisle than where the picker is operating. Multi-layer mixed pallets, also known as “rainbow” pallets, can be built in the center aisle or at the end of the aisle as shown in the video. Either configuration works with pallet flow supplied reserve storage. You can find Mallard layer pick separator equipped pallet flow in distribution centers fulfilling beverage, wine & spirits, grocery, retail and more. There are specific design considerations for this application and we recommend a review of pallet type and condition before finalizing your pallet flow rack configuration… but we can help with that in our in-house engineering testing lab. Give us a call – If it’s multi-SKU pallet building you need, we know how to maximize efficiencies and streamline the process.